Samuel Arnott of Carsethorn and Sunnymead, Maxwelltown, became a member of Society on 1st July 1893. 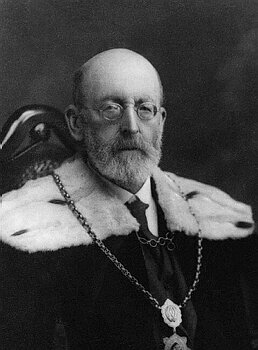 He served as a member of Council on numerous occasions and became the first specifically 'named' Editor of the Transactions for volumes 20 to 22 (inc) of the second series — published in the sessions 1907–08, 1908–09 and 1909–10. Concurrently he was appointed Secetary for a period of five years — being made an Hon. member on his retiral from that post. He published extensively within the Transactions on a variety of subjects — including antiquarian, historical and folklore — but principally on matters botanical. Viviparous Plants, Series III, Vol. 14, p.127.